Cause of her death was Inflamation of bowel. 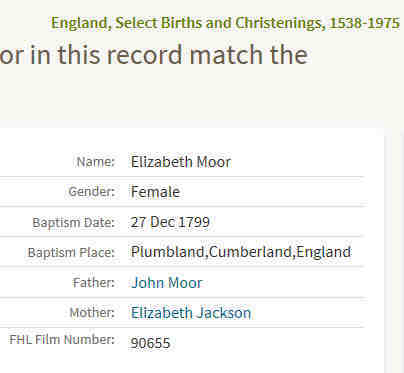 Other names for Elizabeth were Elizabeth Greer 112 and Betty Moore. 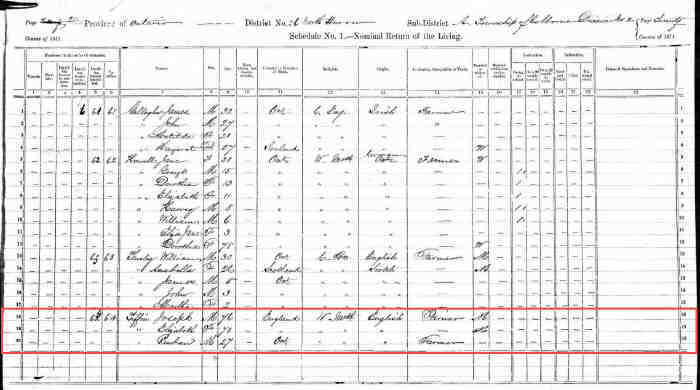 • 1861 Census of Canada: Elizabeth, age 62, with husband Joseph, age 66, and children Ann Eliza Colborne, Huron, Ontario, Canada, 1861. 94 beth, age 21, and Reuben, age 17. 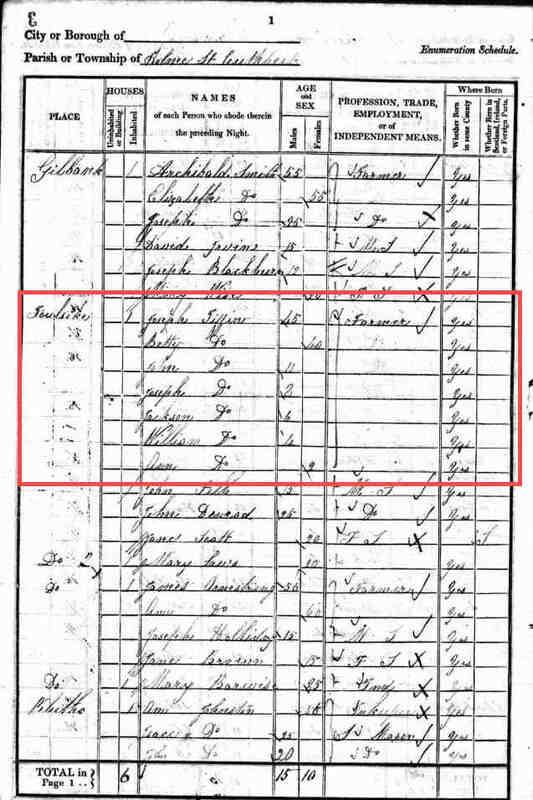 • 1871 Census of Canada: Elizabeth, age 73, with husband Joseph, age 76, and son Reuben, age 27 Colborne, Huron, Ontario, Canada, 1871. 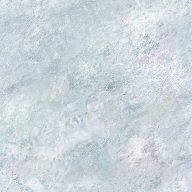 310 . • 1841 Census of England: Betty, age 40, with husband Joseph, age 45, and children John, age 11 Holme Cultram, Cumberland, England, 1841. 348 , Joseph, age 8, Jackson, age 6, William, age 4, and Ann, age 2. Elizabeth married Joseph Tiffin, son of Joseph Tiffin and Sally Grave, on 6 Dec 1827 in Plumbland, Cumberland, England 64.,346 (Joseph Tiffin was born on 6 Feb 1795 in Eaglesfield, Cumberland, England 64 and died on 22 Nov 1875 in Colborne, Huron, Ontario, Canada 64,112.). The cause of his death was Heart disease.